Lafayette County is located east of Tallahassee, FL, and northwest of Gainesville, FL. It’s a rural county, home to prairie-like flatlands, well-known parks and fresh-water springs and rivers. Lafayette offers visitors a slice of the original Florida culture as it’s rich in history, shaded by century old oaks and is home to the famous Suwannee River. Looking for a peaceful and secluded, yet adventure-filled destination? Lace up your hiking boots and head over to Lafayette County. Located on the west side of the Suwannee River, seven miles northwest of Mayo, FL, is Lafayette Blue Springs State Park. This park contains one of the state’s 33 first magnitude springs, and discharges up to 168 million gallons of fresh water daily. 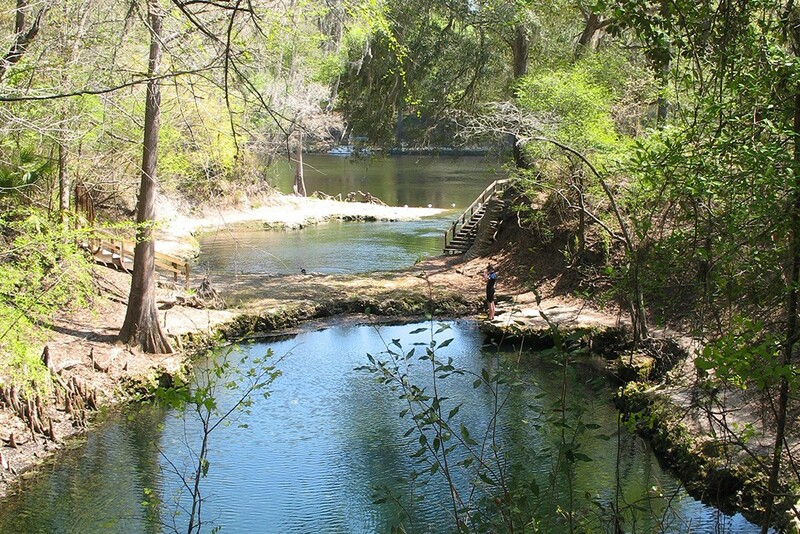 The springs offer a natural swimming pool of clean, crystal-clear water, and the springs’ naturally formed limestone overhead bridge leads directly to the iconic Suwannee River. The Park is equipped with kid- and family-friendly cabins, springs and boats with handicap access. Visitors can picnic under the shade of large oak trees and Spanish moss, or hike or bike the surrounding woodland, which is full of wildlife. To learn more about activities, sights and amenities Lafayette Blue Springs State Park offers, check out the Park’s information page. After taking a hike through the Lafayette Blue Springs State Park, be sure to cool off with a peaceful float down the Suwannee River. Nearly seven miles from Mayo, FL, the Suwannee River spans a 246-mile distance across the state. It’s a deep, slow-moving river, flowing through the marsh and swamplands of north Florida. The Suwannee River is the site of the prehistoric Suwannee Straits, which separated the peninsula of Florida from the Panhandle, and it’s a playground for animals such as otters, tortoises and alligators. 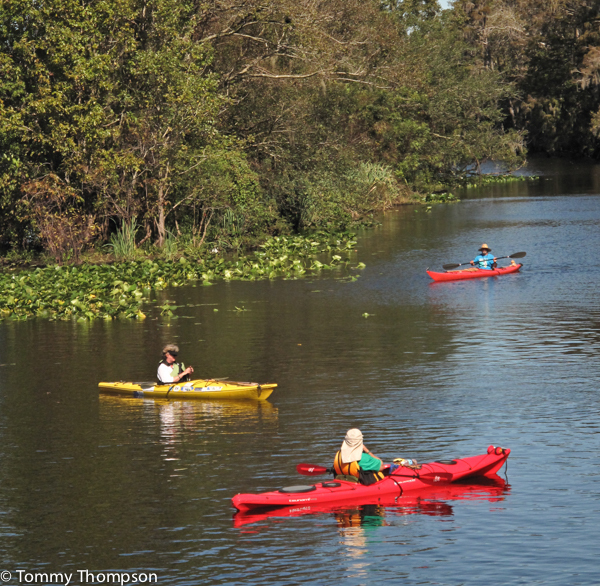 Suwannee River visitors are encouraged to paddle, canoe or kayak down the river’s peaceful current. They may use their own equipment or rent equipment along one of the river’s renting outposts. Canoeing trips and tours are also offered to visitors traveling solo, in small groups or large groups. Different tour options are available, varying in length and difficulty. Lafayette County offers multiple lodging options, including the Suwannee River Rendezvous Resort on the Suwannee River, Le Chateau de Lafayette, Steamboat Dive Inn and Joppa Lodge. Popular local eateries and restaurants include Mayo Cafe, Subs and More, and Meme’s Diner. Camping options near the Suwannee River are also available for outdoor adventure seekers.